The results of a study are in and its authors recommend Stark County invest in a regional middle mile fiber-optic network, establish a broadband authority, and take other significant steps to keep the county from falling behind in today’s economy. The county has relied heavily on manufacturing and retail in the past but as those opportunities dry up, young people are moving away and the future is in jeopardy. Healthcare is another strong industry in the region, but access to high-quality connections is now a must-have for hospitals and clinics. Elected officials also recognize that diversifying the local economy to lure companies that offer higher paying positions will bring new blood to Stark County. 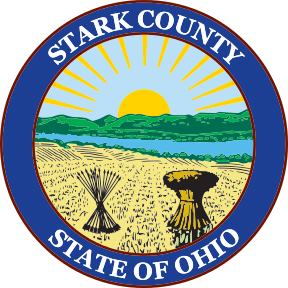 In order to attract new commerce to Stark County, Ohio, they formed a Broadband Task Team (SCBBTT) in the fall of 2014. They have adhered to the philosophy that connectivity is a “fourth utility” and should be treated like electricity, water, gas, or sewer systems. In May, the SCBBTT hired a consultant to perform a feasibility study; the firm presented its findings and recommendations on October 12th. Consultants analyzed the amount of fiber in the county and reviewed the state of connectivity for businesses and residents and found both lacking. Incumbents include local provider MCTV, which offers cable TV, Internet access, and phone services over its coaxial fiber network. Charter Communications, which recently acquired Time Warner Cable assets in the area, and AT&T offer cable and DSL but the feasibility revealed that there is very little fiber connectivity for residents or businesses. Their estimate of the cost for the proposed 130-mile backbone is approximately $22.5 million and would connect 140 community anchor institutions. Design of the network should also put fiber within 1,000 feet of more than 8,000 businesses to facilitate later expansion. The consultants estimate the project would pay for itself in 15 years and after 10 years would generate $5 million in revenue annually. After 20 years, the project should be generating approximately $22 million per year. A $330 - $400 million investment to buildout a FTTP network throughout Stark County is unlikely at this point due to economic conditions and political will, however, a measured, strategic approach to making incremental investments in the County are likely to be supported if an actionable roadmap is clearly delivered. The county of about 376,000 people is located in east central Ohio; Canton is the county seat. Fifteen percent of the county’s residents live at or below the poverty rate, above the national average of national average of 13.5 percent. More than 18 percent of the population is over the age of 65, also higher than the national average. Elected officials have seen both those numbers on the steady incline in recent years. "We can't afford not to do this," [Stark County Commissioner Richard] Regula said. He believes that county commissioners should review the proposals and take the lead on the project. Jackie DeGarmo, co-chair of the task team, said local leaders must decide if they have the "political will" to move forward with the plan. There's a need to create a broadband authority, she said. "A digital world is not going to wait for us." Consider the rapid response of a locally-owned and operated network when the local Amateur Radio Emergency Service (ARES) in rural Mitchell County, N.C. recently needed an Internet link on a mountaintop tower to test and operate its emergency service. Utilizing the local Mountain Area Information Network (MAIN), the ARES volunteers had a secure network connection the same day of their request. “We would still be waiting for an answer” from the non-local phone company, said ARES volunteer Bob Rodgers.